Sweet Spot - Tennis is a beautiful game. 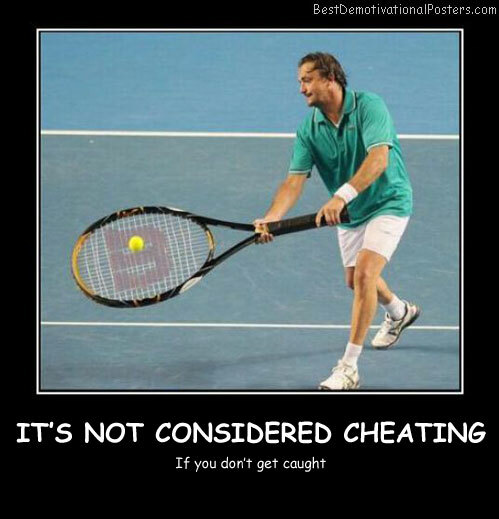 It's Not Considered Cheating - If you don't get caught. Breasts - They have been served. 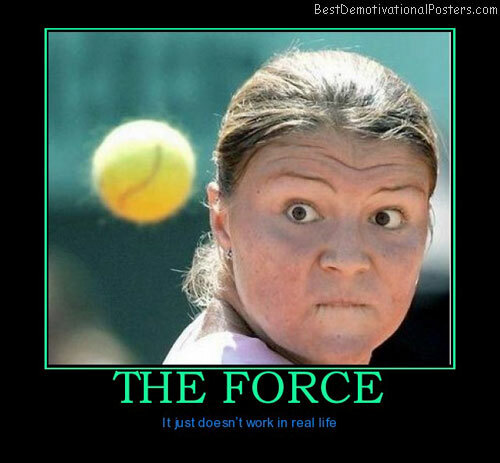 The Force - It just doesn’t work in real life. 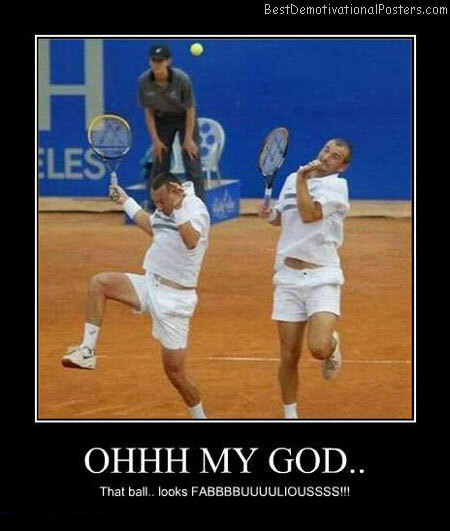 Oh My God - That ball... looks FABBBUUULLOOUUSSSSS!